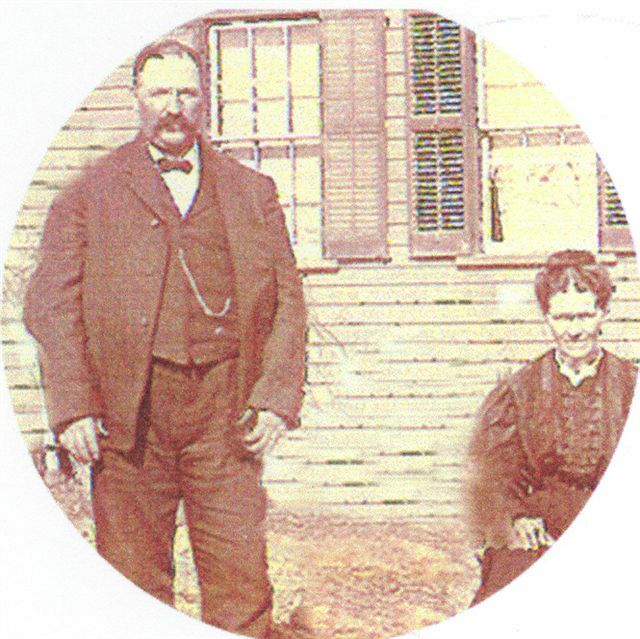 "THEODORE GOERDT DIED AT TINTAH, MINN. Relatives received a telegram Monday, announcing the death of Mr. Theodore Goerdt, which occurred at his home at Tintah, Minn. that morning, July 18, 1921. He was 62 years old. Mr. Goerdt had been afflicted with dropsy the past two years and heart complications developed. His condition was serious since last fall. The news of his death was received with keen regret by his numerous friends in this vicinity, his former home. 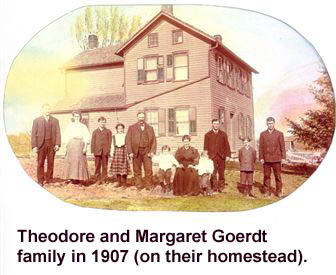 Mr. Theodore Goerdt was born on the old Goerdt homestead, northeast of Dyersville, Iowa, sixty-two years ago on June 23, l859, where he grew to manhood receiving his education in the rural school and later attended St. Francis School of Dyersville, Iowa. On April 3, 1883 he was united in marriage with Miss Margaret Stoeckl of this place, the ceremony taking place in St. Francis Catholic Church of this place. 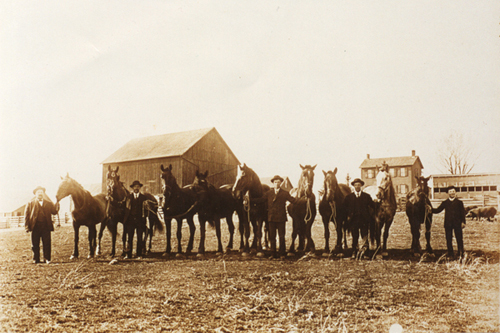 They resided on a farm here until about twelve years ago, when they moved to Tintah, Minn., near which place they purchased a farm, and were successfully engaged in agricultural work. Fifteen children were born to the union, eight of whom are living. Six died in infancy and one son John died when he was twenty-eight years of age. Those who survive besides his grief-stricken wife, Margaret are: Theodore of Minneapolis, Minn.; Albert of Tintah Minn.; Mamie (Mrs. Peter Thies); Amelia (Mrs. Otto Keller); Anthony; August; Reynold, Cornelius. He is also survived by a brother Joseph Goerdt of Dyersville, Iowa; Mrs. August (Mary) Demmer of Worthington, Iowa; Mrs. Frank (Anna) Kern of Dyersville, Iowa; and Mrs. Joseph (Catherine) Becker of Dyersville, Iowa. Mr. Goerdt is well remembered by scores of friends here, as a gentleman of high and Christian ideals. Honest and upright in all his dealings, courteous and true to friends and neighbors, were marked trusts of his character, and he was held in highest regard. He was a kind father, loving husband and will be sadly missed from the family circle. The funeral was held this morning at Tintah, Minn. to the Catholic Church of that place and interment was in the church cemetery there. The members of the family have the sincere sympathy of the friends in this city and community."